Graham left the presidency of the University of North Carolina in March 1949 when Governor Kerr Scott appointed him to the U.S. Senate. When Graham ran for the seat in 1950, his major opponent in the primary was Willis Smith, a conservative Democrat. During the campaign, Smith's camp printed falsified photographs of Graham's wife dancing with a black man. 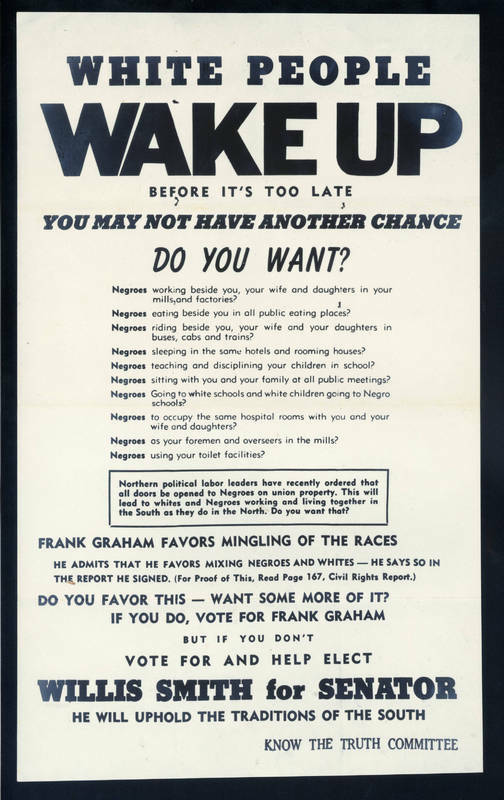 Another campaign handbill accused Graham of appointing a black man to West Point. In fact, Graham had named a black student as an alternate choice. These charges led to Graham's defeat in a hard-fought run-off primary.